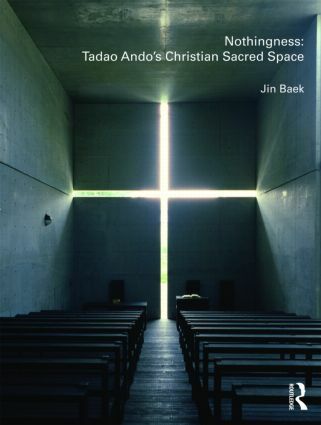 Based around an interview with Tadao Ando, this book explores the influence of the Buddhist concept of nothingness on Ando’s Christian architecture, and sheds new light on the cultural significance of the buildings of one of the world’s leading contemporary architects. Specifically, this book situates Ando’s churches, particularly his world-renowned Church of the Light (1989), within the legacy of nothingness expounded by Kitaro Nishida (1870-1945), the father of the Kyoto Philosophical School. Linking Ando’s Christian architecture with a philosophy originating in Mahayana Buddhism illuminates the relationship between the two religious systems, as well as tying Ando’s architecture to the influence of Nishida on post-war Japanese art and culture.